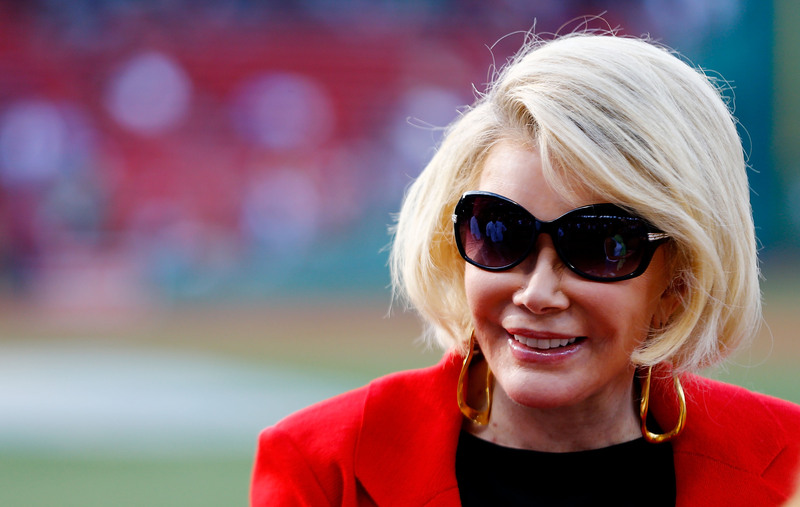 The report from the investigation into the death of Joan Rivers has been released and the results aren't good. According to E! Online, the federal Centers for Medicare & Medicaid Services have pointed to multiple mistakes that were made on the part of Yorkville Endoscopy Center that could have contributed to the tragedy. Rivers passed away in September after a procedure at the Manhattan clinic led to her being unable to breathe and being rushed to the hospital for more intensive care. However, though Rivers' autopsy revealed her cause of death was due to "predictable complications," the federal investigation has reportedly found that Rivers' doctors made mistakes during her treatment. Among the mistakes listed in the report are the fact that the doctors didn't take note of Rivers' weight prior to administering the Propofol — her weight being a key deciding factor in exactly how much of the sedative to give the patient. They also "failed to identify deteriorating vital signs and provide timely intervention," because Rivers was allegedly found to be lacking a pulse at 9:30 A.M. but was not resuscitated in full until 10 A.M. Finally, it was discovered that Rivers only signed a consent form for the endoscopy; the throat procedure was "performed by the comedian's personal physician [Gwen Korovin] who did not have medical privileges at the clinic." Worse the report goes on to confirm the rumor that a Yorkville doctor took a picture with a sedated Rivers and of Korovin during the laryngoscopy, claiming that a doctor "proceeded to take pictures of the surgeon and the patient with his cell phone. Medical records indicate the patient was sedated at the time of the photograph." The attorneys who are representing Melissa Rivers, the daughter of Joan Rivers, in her suit against the clinic released an official statement following the report on Monday. Our client, Melissa Rivers, is terribly disappointed to learn of the multiple failings on the part of medical personnel and the clinic as evidenced by the CMS report. As any of us would be, Ms. Rivers is outraged by the misconduct and mismanagement now shown to have occurred before, during and after the procedure. Moving forward, Ms. Rivers will direct her efforts towards ensuring that what happened to her mother will not occur again with any other patient. The clinic also released a statement of their own in response to the report, reaffirming that they had been nothing short of cooperative with the CMS investigation and that "the physicians involved in the direct care and treatment referenced in the report no longer practice or provide services at Yorkville." However, those words are likely a small comfort to Melissa Rivers, who lost a mother and now has an investigative report that alleges that the tragedy could have been avoided if only certain standards had been met during the procedure that went wrong. The claims listed in this CMS report are shocking and disappointing and I can't blame Melissa for wanting justice for her family and to help other families from going through the same pain. If the allegations against Yorkville Endoscopy Center are true — especially the claim about the "surgery selfie" — then a lawsuit would be an understandable next step.